Answer two simple questions and find out how much you can save, instantly! Heads-up: we’ve been the solar game a while now, and can give you a quick idea of financials on this webpage, but we’ll need more info, and possibly a site visit for an accurate price, as each property and customer requirement is unique. Get Ready for your Independence Day! 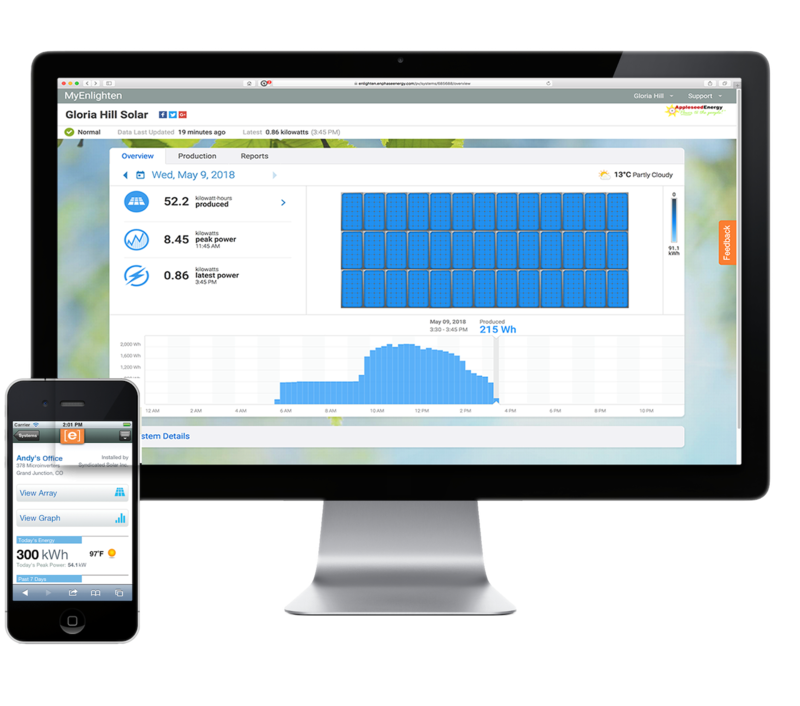 Our net-metered systems come with real-time monitoring!